Having the perfect ceremony by the ocean, with the characteristic warm breeze from the Caribbean is not a dream anymore. At least not for demanding couples looking for perfection. 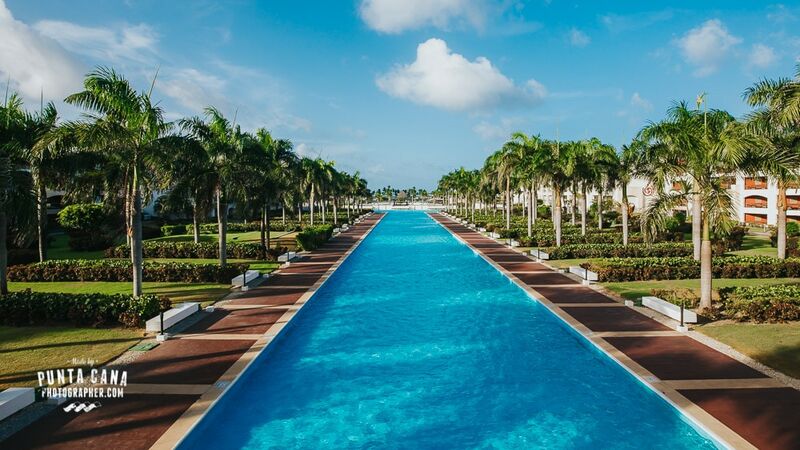 We’ve been to many, many resorts in the Punta Cana area in the last 7 years… and we have to say that one of the most pleasing experiences for a bride and groom can be found at Hard Rock without a doubt. This massive, huge, ginormous hotel offers everything you are looking for and more. First of all, Intimacy. 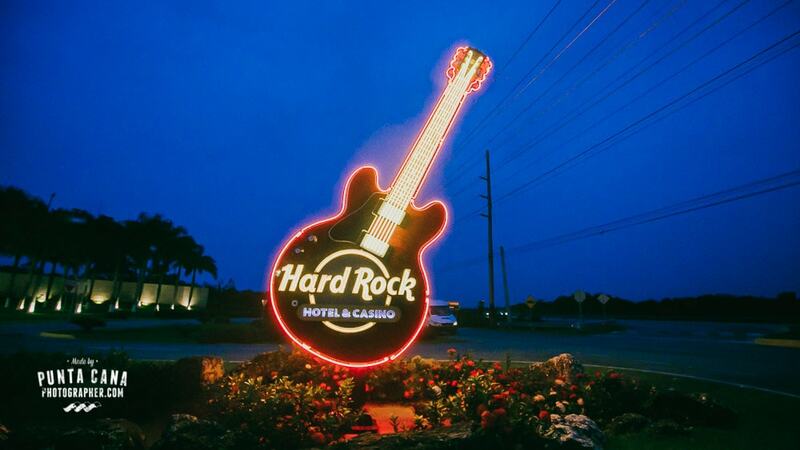 You can easily get lost with your beloved one in one of the many options Hard Rock hotel has to offer and not see one of your guests in a full day. If you want to find them, you’ll probably know where they hang out anyway. The second one is Options. Spending a week or two at a resort can be an amazing experience for some people, but it can be boresome for the next person. If you find yourself at a little resort you may run out of activities within a few days. That will never, ever happen to you at this amazing Hotel and Casino, did I mention the Casino? 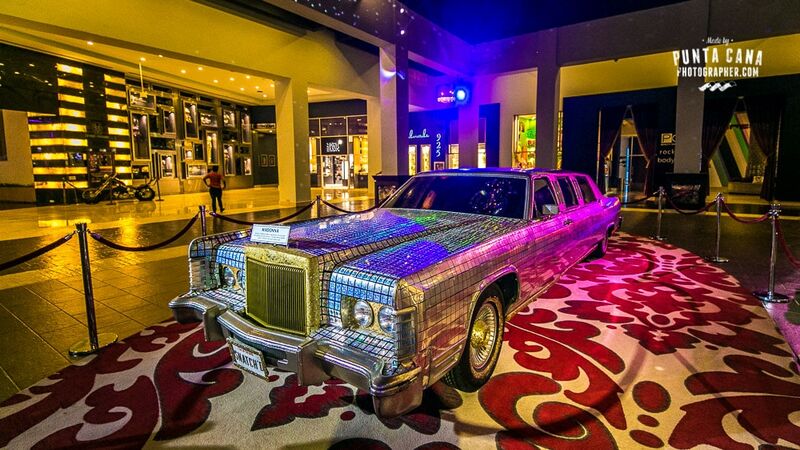 Hard Rock is a well-known brand, and its Casino is by far the best one you’ll find in Punta Cana, and maybe on the whole island. 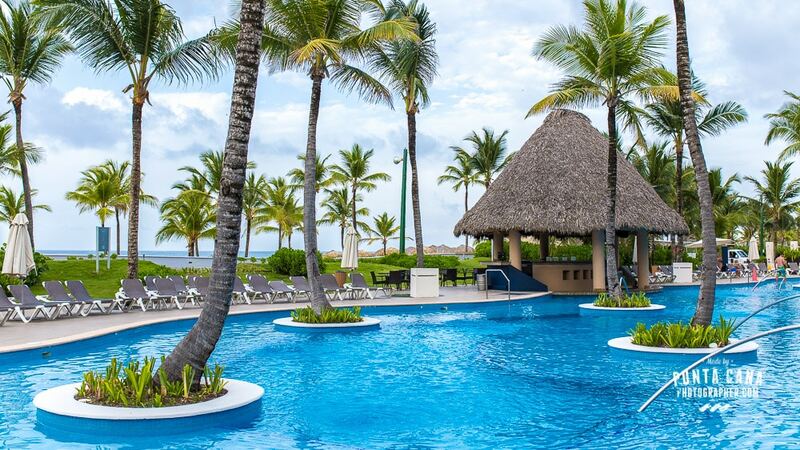 The Dominican Republic has a lot to offer, but not much if you are looking for luxury and entertainment. This is the place for that. 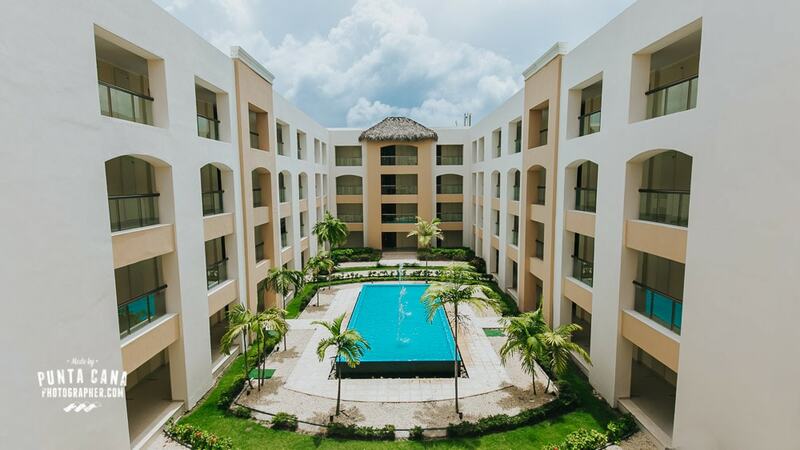 With over 1700 rooms, you’ll feel overwhelmed by the amount of people you can find inside this gem. That being said, the rooms are big, spacious, bright and most important of all, with great views. You’ll be surprised to find that most if not all (we haven’t been to all of them!) have Jacuzzi’s inside. Crazy, I know. Wedding Backup Plans: If it rains, which is not going to happen on your wedding day, they have Gazebos in front of the beach where you can say your vows and still feel the ocean breeze in your hair. Many options for wedding locations: Palafito Harmonica, Isla Beach, Gazebo Isla, Trompeta Beach, Toro Beach, Palafito Ipanema.. amongst a few others. All these locations are carefully selected and while we prefer some of them (Harmonica is our top pick) you will love the setup in either one of these. Great drinks. No cheap-water-diluted beverages. Different Pools, areas and activities every day: Eden, Isla, Central, Family, Sax, Eclipse, Sun, Bongos, Guitar & Drums, Moon, Lazy River and Woodstock!! Those are ALL different pools. Many options for breakfast, lunch & dinner: Cafetto, Ciao, Ipanema, Isla, Los Gallos, Pizzeto, The Market, Toro, Zen, Lima Deli, Ice Cone, Ran Deli are the restaurants you can find at Hard Rock. You won’t find yourself eating the same every day, unless you want to. Room Service! 24 Hours! Every-single-day. You’ll have to watch your figure if you want to fit in that dress. Bars: Moon Lounge, Sun Bar, Eclipse Terrace, Zen Lounge, Must Sweet & Coffee, Sports Book. Feel free to visit a different spot every day, and you probably won’t have enough time to repeat. Golf course inside the premises. You need to walk a lot or wait for a trolley that will take you wherever you need to go. If you want to rent a golf cart, prices are quite high. If you want to stay close to your wedding guests, it’s going to be hard to find all of them in this resort. You have to pay to access the Disco. It is worth it, but it costs 30 USD with two drinks, or 70 USD for Open Bar until 3am. In conclusion, Hard Rock Punta Cana is a great place to get married and you can’t go wrong with the wedding planners. We’ve had the opportunity to work with most of them, and the results were fantastic. Do you have any questions about Hard Rock? We recommend you to read our Wedding Guide, and get in touch with us if you need any help!